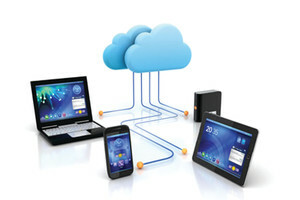 Cloud watcher Joe Hewitson at IBM’s Midsize Insider writes, “meaningful data is what drives modern midsize businesses. The ability to analyze and quickly process large quantities of data enables midsize organizations to make smarter business decisions.” But how does a small or mid-sized business effectively manage and store all of its fast growing data? Cloud computing for small business, of course. Avoid the complex and static nature of traditional data centers. Focus on streamlining data management. Reduce cost and the resources necessary in a more traditional data center. Gain flexibility and consistent performance. The independent nature of cloud computing for small business evolves the historically in-house IT resources to secure off-site locations. The immediate ramifications of such a move in technological infrastructure shifta much of the IT responsibility onto secure third-party vendors – comprehensive cloud solutions, like Cloud9’s Private Virtual Server solution, with its inherent advantage of minimizing IT cost and risk while increasing business computing flexibility, scalability, and power, are key examples of why both small and mid-size businesses are shifting to cloud computing. Cloud9’s Custom Virtual Private Server solution is true cloud computing for small businessthat simulates the customization of a dedicated office server, but with the immediate scalability and redundancy of true cloud computing. According to numbers from research firm Gartner, sales of cloud computing service are expected to reach $9 billion this year, compared to $6 billion in 2012. Furthermore, Gartner is forecasting an average annual growth rate of 41 percent through 2016, which would translate into revenues of $24 billion in 2016 compared to $3 billion in 2010. Superior cloud-based IT options are now within reach of SMBs. In fact, IT consultancy group Freedom Dynamics recently forecast that one-in-five SMBs plan on migrating to a cloud-based option within three years. A Cloud-based option doesn’t have to be a big upfront capital commitment, but SMBs can sample a small beta test to maximize the learning curve while minimizing any customer-facing hiccups that might occur. This makes it easier than ever for small businesses to launch and thrive. One way to determine a worthy provider is to compare updated audit reports of their data centers and cloud hosting solutions, including SOC 2 and SOC 1 (SSAE 16) reports that measure the security, availability, privacy and financial reporting controls of a service provider. Find out what else to look for by reading Cloud9 Hosting Raised the Security Bar. Remember Cloud9 Real Time, the number one choice of 4000 professional practices polled.